Nadine & Riaan's wedding was a destination wedding that took me all the way to South Africa, to their home town, Bloemfontein. Early March there corresponds to early September here so it was the end of summer. It was 35 degrees with a bright blue sky and blazing sunshine. The venue, Goosehill Wedding & Guest Farm, was beautiful with a rustic feel and lots of nature around it. This wedding was very special to me because Riaan is my brother in law - it was a family wedding which meant I was a guest and I also had the privilege and the pleasure to be the official photographer. In the morning, I was able to get some shots of Riaan getting a hair cut and a shave at the barber's then I went over to Nadine to document the preparations. Hair & makeup was provided Posh Lab Dan Pienaar. The civil ceremony took place in the chapel at the venue and it was also very special because the celebrant was the groom's brother (as well as my partner) which was a surprise for most guests who were expecting a priest or professional celebrant. After taking all the family and group shots, myself and the couple drove down the bush, a wild area which also contained an old quarry and it was such a fantastic backdrop for photos, the colours were so vivid and warm as it was the golden hour. 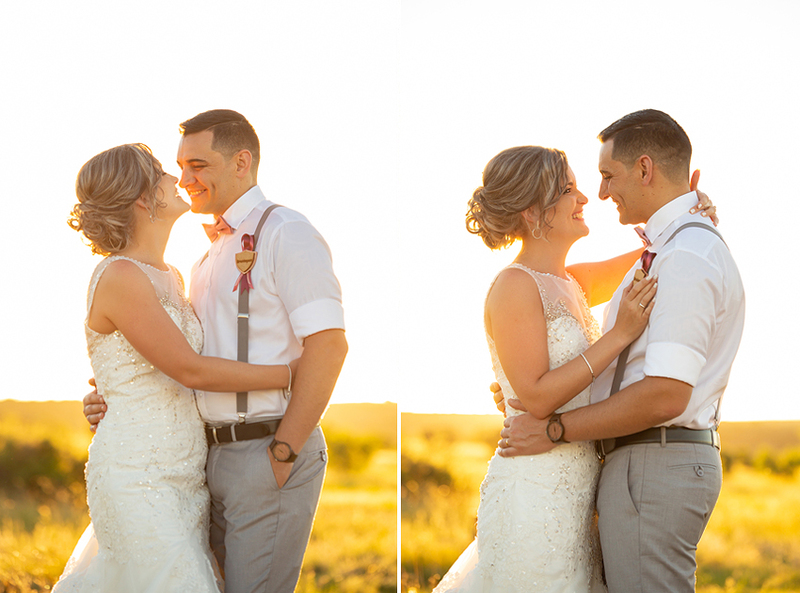 I was especially happy to have been able to feature a little wind mill behind them, just seconds before the sun set, as such wind mills are emblematic of the Free State. 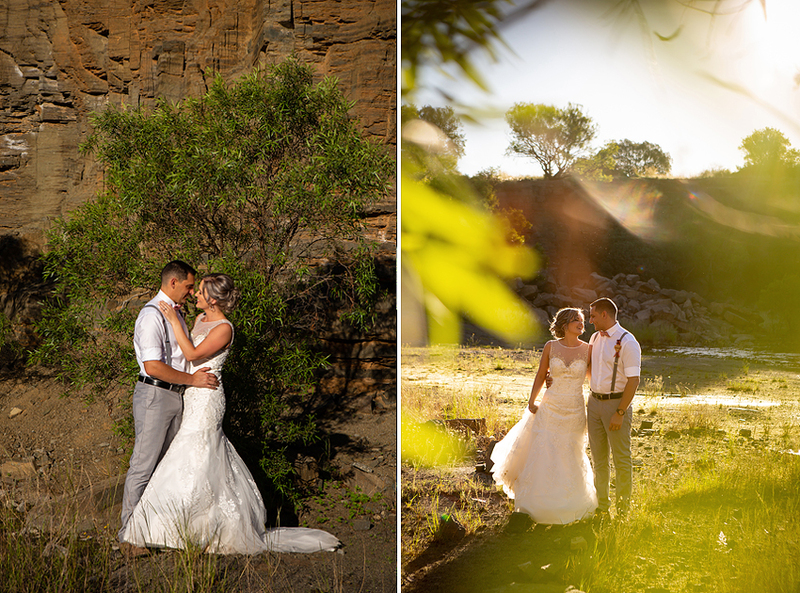 Nadine & Riaan are such an amazing couple and I feel blessed to have able to capture their special day.